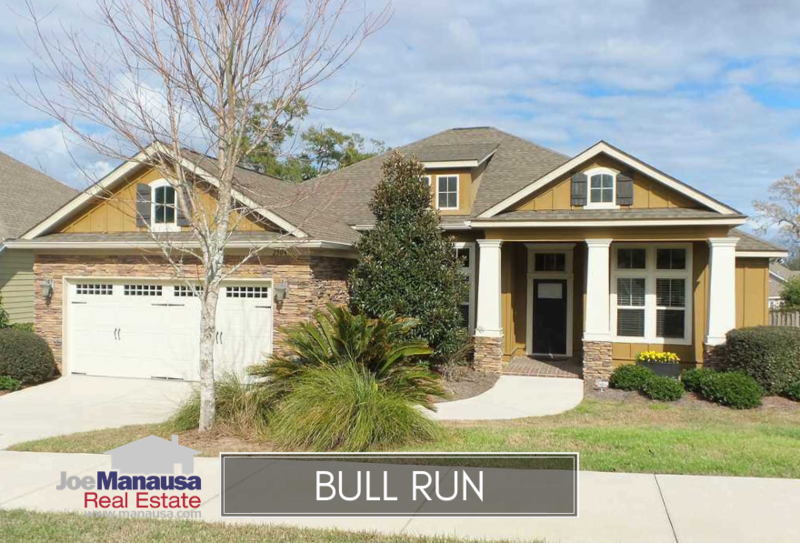 Bull Run is a high-demand neighborhood in Northeast Tallahassee that contains 3 and 4 bedroom homes that have all been built within the past 13 years. 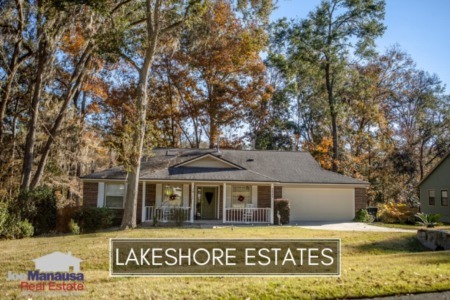 Zoned for A-rated Leon County schools, this neighborhood in the heart of the 32312 zip code will likely have buyers waiting in line for many years to come. It is important to note that the narrative contained below is through the end of the year for all previous years, and through the fourth week of October in 2018. The graphs and the closed sales table will be continuously updated into the future (and you can always track current listings and sales on the Bull Run Neighborhood Page here). Average home prices in Bull Run have risen almost 4% this year. Currently, the average price of a home sold in Bull Run in 2018 has been $368,000. Activity in Bull Run is slowing down, and the number of homes that sell this year will likely be a ten-year low. Fortunately, this is not due to declining demand. The fact is that available lots are almost all gone, and we're now just seeing the resale market take over. Homeowners should feel good knowing that buyers are out there and well-marketed homes are selling right away. Currently, there are 8 homes for sale in Bull Run, and four are already under contract. Bull Run average home values remain at an all-time high. Through four weeks in October, the average value of a home sold in Bull Run has been $165 per square foot. The average home size sold in Bull Run typically falls in a range of 2,000 to 2,300 square feet, and 2018 has been no different. The 28 homes sold in 2018 have averaged 2,242 square feet. The following list shows more than 620 home sales in Bull Run going back to 2005, the first year that homes began selling here. 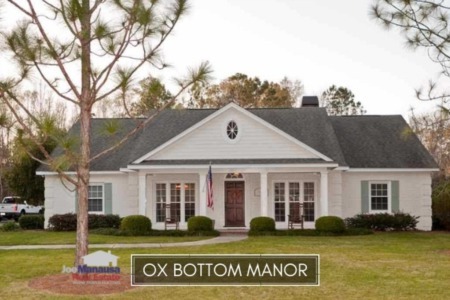 This concludes our October 2018 update on home sales in Bull Run, please give us a call at (850) 366-8917 or drop us a note if you have questions not covered in this report. If you are thinking about moving, listen to what our past clients say about our service. The real estate company you choose can make a big difference on your pocket book. Read what people are saying about working with Joe Manausa Real Estate, you can see thousands of real customer reviews reported on Google, Facebook and Zillow right here: http://www.manausa.com/testimonials.